No difference between the incumbent government and dictatorship of Zia-ul-Haq, Bakhtawar said. 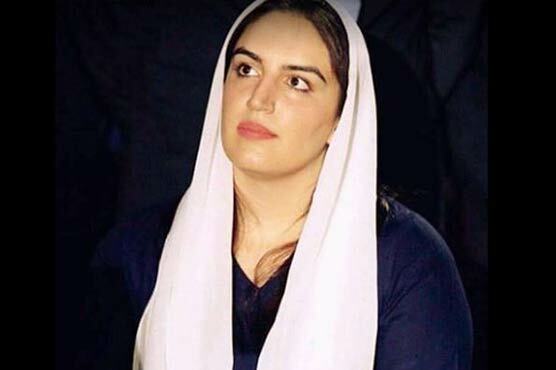 ISLAMABAD (Dunya News) – Pakistan Peoples Party (PPP) chairman Bilawal Bhutto Zardari’s sister Bakhtawar Bhutto took to Twitter on Wednesday and demurred over summoning of his brother and father Asif Ali Zardari by the National Accountability Bureau’s (NAB) office in Rawalpindi in fake bank accounts/Park Lane case. She regretted that her family has not been provided justice for her grandfather and former premier Zulfiqar Ali Bhutto’s murder. "On whose authority/what grounds does NAB (a body set up by a dictator to remove elected govs) summon @BBhuttoZardari? For criticising this Puppet gov? For speaking out against their supported banned organisations? For demanding pro extremist ministers from their gov be sacked?!" she asserted. She added that there was no difference between this government and the dictatorship of general late Zia-ul-Haq. For criticising this Puppet gov? For speaking out against their supported banned organisations? For demanding pro extremist ministers from their gov be sacked?! This criticism was done because they knew NAB was coming after them. Just like Hussain Nawaz admitting the offshore assets just before panama leaks..
Chal bhi lagta hai aab zardaku is ko bhi launch ker raha hai. Be ready for another fake zardari pretending to be a bhutto. What a clown this family is....! End of dynastic politics is near. Inshallah. Iska ABBA tu ent se ent Baja raha tha, per ab apni ladies agay arahin hain. Lagta hai zardari in trouble. let us hope and pray that it is not different. Zia hanged Bhutto. Let us hope that PTI hangs all these Bilawaja Bhuttos, Billo Rani , Bakthawar Pehlawan, and the master crook Zaleeldari. They still live in 1980s where as Pakistan have changed a lot. These filthy creatures will have no role in Pakistan's politics in coming years.